I find that ready-made chai tea is too light on spices for my tastes so I developed my own blend from spices I had on-hand. Feel free to experiment with combinations. 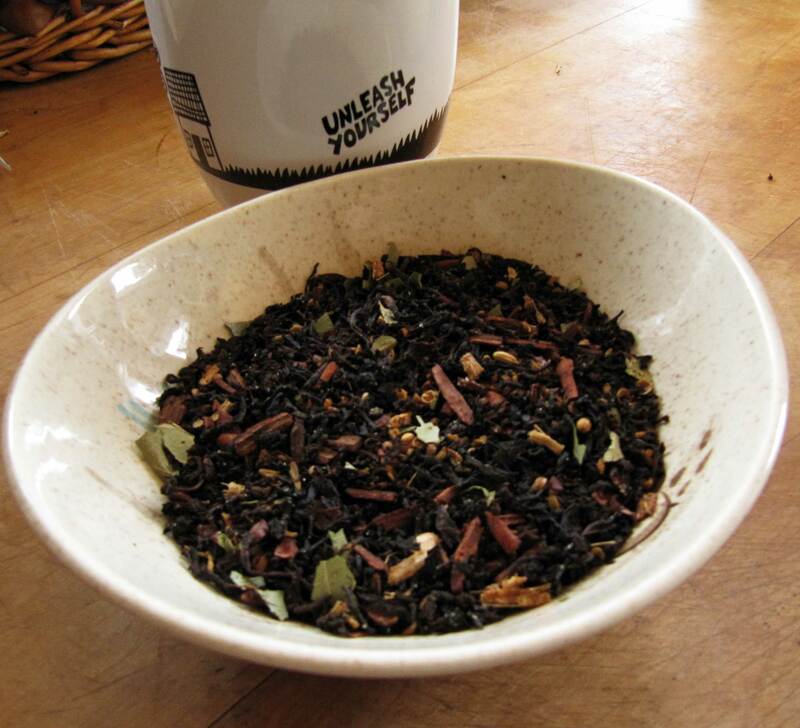 DIRECTIONS: Mound black tea in bowl large enough to accommodate all ingredients. Measure vanilla and pour on top of black tea. Measure out fresh-grated ginger (or ground ginger), ground cardamom, cocoa nibs and dried lemon (or orange or tangerine) zest and place in bowl with black tea. Place remaining ingredients in mortar and pestle and smash t o smaller bits. Pour into bowl with black tea and combine thoroughly. Place in jar and label. Use one teaspoon of tea per one cup of boiled water. 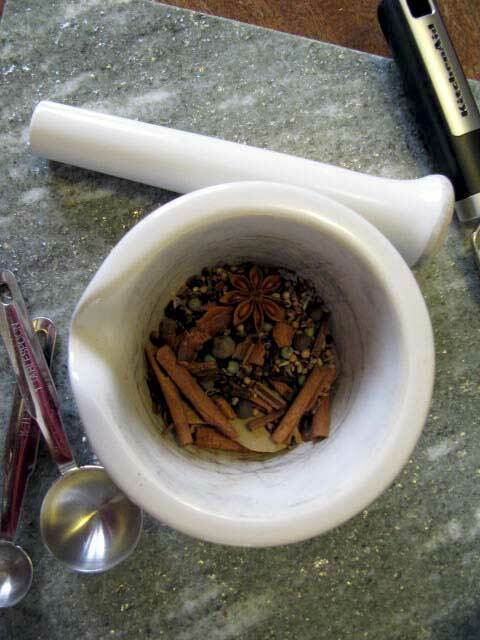 NOTES: Chai can pretty much be made from any combination of the above spices. If you don’t have a spice or it’s hard to get, leave it out and add more of another spice. Be careful with the cloves and cardamom. They have a strong flavor. You could replace the liquid vanilla with the rind (pod?) of a vanilla bean. Ground spices can be replaced with whole. Whole can be replaced with ground. If you don’t have a mortar and pestle, get creative: Use a mason jar to smash it on your cutting board; use a hammer. Experiment with smaller batches until you get the combination just the way you like it. Enjoy!! This entry was posted in creativity, Food, Health and tagged cocoa nibs, creativity, Food, Recipes, Recipes, spice, tea, Tea, vegetarian. Bookmark the permalink.